Can someone please help me with the task in the attachment? Any help would be much appreciated! Thanks you! For the last part, use the figures given in the table at the top. 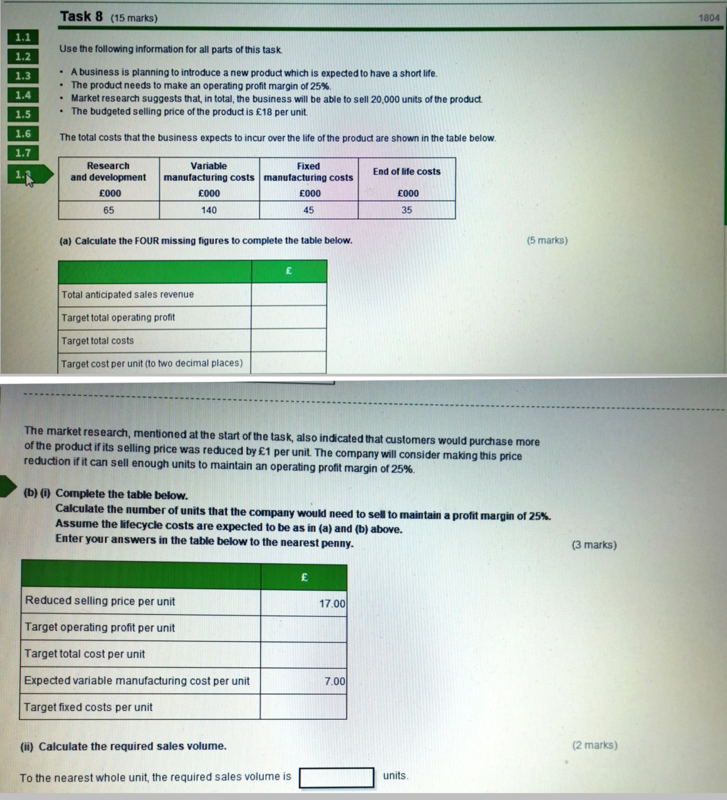 You can now complete the calculation by taking £145,000 / 5.75 (from first part of answer = 25217.39 rounded to 25217 as you need to show full units not parts of units.